One of my clients wants to add loads of Security Groups into the repoitory. Of course this can be done manually, but in this case it would be better to script these groups into the database. I knew that UDML is an undocumneted feature in Oracle BI 10g. If you perform a search on Google, you could find enough information. I used the information provided by Venkat and Andreas. There was one thing I couldn’t find out directly. I was looking for a possibility to nest Security Groups. It was not clear to me what the syntax should be. Again UDML to the rescue. You can use to script something into the repository. The other way around works as well. What I did was, I created a nested Security Group manually. The ‘-S’ is for generating script for only security objects. 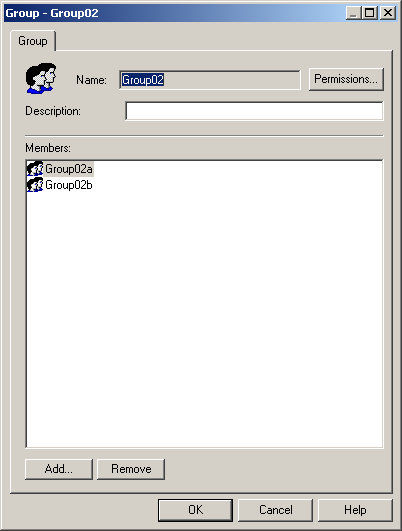 Looking add this output, you see that the subgroup ‘INHERITS FROM’ the parentgroup. The parentgroup ‘PROPAGATES TO’ the subgroup. DECLARE SECURITY ROLE "Group01a" AS "Group01a"
DECLARE SECURITY ROLE "Group01b" AS "Group01b"
DECLARE SECURITY ROLE "Group02a" AS "Group02a"
DECLARE SECURITY ROLE "Group02b" AS "Group02b"
DECLARE SECURITY ROLE "Group01" AS "Group01"
DECLARE SECURITY ROLE "Group02" AS "Group02"
By using the nqudmlexec-executable, you should be able to import the parentgroups (“Group01” , “Group02”) and subgroups(“Group01a”, “Group01b”, “Group02a”, “Group02b”) into the repository. I hope the same is possible for Catalog Groups. More to come.